Simplii Financial Review: Should You Switch to Online Banking? Online banking has become incredibly popular. After all, who doesn’t want the convenience of 24/7 banking, as well as the ability to save money on fees while earning competitive yields on deposit products? You get all this and more when you bank through Simplii Financial, but if the name doesn’t sound familiar, you could be forgiven. That’s because for over 20 years, CIBC’s online banking arm was known as PC Financial. In 2017, the partnership between CIBC and Loblaw’s (the parent company of President’s Choice) came to an end. CIBC decided to assume full control of their online bank, and rebranded to Simplii Financial. PC exited the online banking business, but held onto the PC Mastercard product. Personally, I use Simplii Financial online banking for their no-fee account, but they offer a wide range of online banking options. 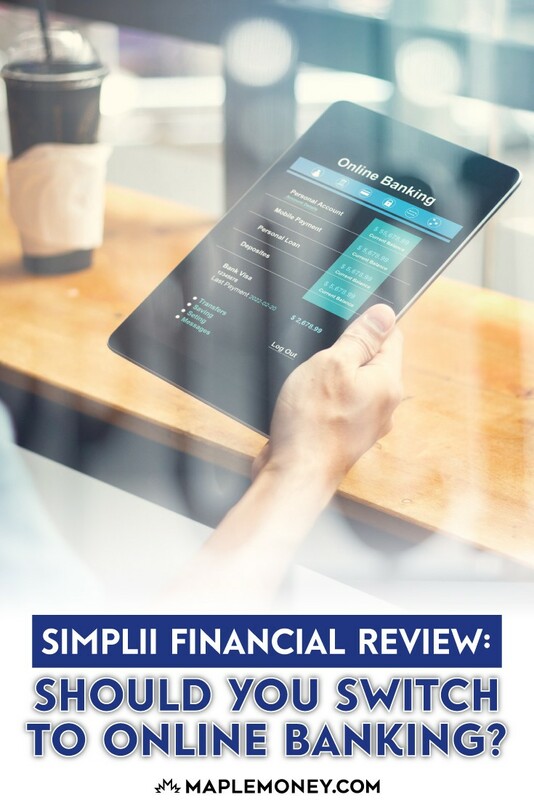 In this review of Simplii Financial, we’ll take a look at their many products & services, to help you decide if they’re right for you. Let’s get started! As I mentioned earlier, my main reason for turning to Simplii Financial is that, similar to Tangerine Bank, I like the convenience and low cost. I like using the no-fee daily banking account. I save money every day not having to worry about fees. In fact, right now, Simplii Financial is offering new customers up to $200 cash when they sign up for a no fee chequing account, and move their banking over from another institution. I can easily monitor my money online, and access the transactions that are most important to my daily finances. My biggest complaint for the past couple years was that they didn’t have the ability to deposit a cheque via the mobile app, but they recently added that capability, and it works great! Here are some of the other products available through Simplii Financial, beyond a no fee chequing account. Simplii Financial fields a broad mortgage offering, with rates that are competitive with traditional banks, and featuring overall low costs. In addition, through their website, Simplii provides a number of tools and educational materials to help you determine which mortgage is right for your financial situation. Next time I’m shopping for a mortgage, I’ll consider Simplii Financial, due to the existing relationship I have with them. You can find a full menu of savings products. The high interest savings account offers an attractive interest rate of 1.25%, with no minimum balance requirement. This means that you earn interest on every dollar you save. Currently, Simplii is offering new customers a limited time bonus of 3.15% interest when they open a new savings account. Make sure you familiarize yourself with the full offer details prior to signing up. The offer is good until Feb. 28, 2019, but if you miss it, it’s good to check back at a later date for future offers, as they do tend to come around every so often. Like banks and credit unions, Simplii Financial offers Guaranteed Investment Certificates (GIC’s) that provide you with risk-free returns. GICs can be an important part of an income strategy for some investors. Their rates tend to be higher than what the big 5 banks offer, and they advertise that you can start with as little as $100. If you aren’t sure about whether GIC’s are right for you, speak with a financial professional before making your decision. Keep your retirement savings on track with an RRSP offered by Simplii Financial. This will provide you with tax-advantaged growth for your future. It’s always a good idea to prepare for the future, and Simplii online can help you there. For your reference, the RRSP contribution deadline for the 2018 tax year is March 1, 2019, but you can invest in RRSPs at any time throughout the year. 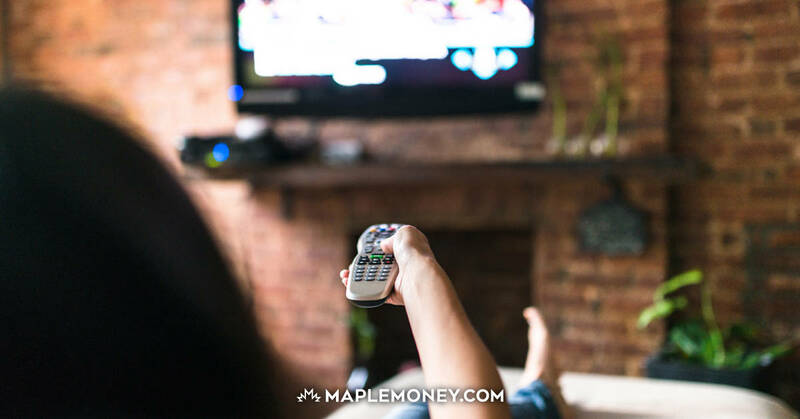 Tax Free Savings Accounts (TFSAs) have become an important part of the investing landscape in Canada. TFSAs offer tax free growth, without having to worry about paying tax when the funds are withdrawn, as opposed to RRSPs. Simplii Financial offers an online option for your TFSA investing. There are a number of loan options available from Simplii Financial. If you are looking for competitive rates, the low-cost borrowing account and the secured borrowing account can provide you with lines of credit that are accessible as needed. You can also get an all-purpose personal loan. Simplii also offers its own credit card, the Simplii Financial Cash Back Visa. It should come as no surprise that it’s a no annual fee card, in line with so many other Simplii no fee products. The move to Visa is a break from the previous PC Mastercard offering, but this credit card comes with a full suite of new features and benefits. Let’s take a closer look. When CIBC and PC Financial severed their long standing partnership in 2017, PC retained their Mastercard product, and actually improved upon it by making it a no-fee PC Financial World Elite Mastercard. Because of this, it was important that CIBC create their own Simplii Financial branded credit card to fill the void; thus, the Simplii Financial Cash Back Visa was born. Let’s take a look at the features of the Simplii Financial credit card. For starters, this is a no-fee Visa card, something that will appeal to cost-conscious borrowers. But what about the perks? With the Simplii Financial Cash Back Visa, the richest cash back rewards are linked to purchases made at select restaurants, bars, and coffee shops. The standard cash back rate for these types of purchases is a very attractive 4%, for up to $5000 in annual spending. In other words, If you love to frequent restaurants and coffee shops, this card might be the one for you. To entice new customers, Simplii Financial has included a welcome offer of 10% cash back on the first $500 spent on dining out. After that, it reverts back to the 4% rate. In addition, the Simplii card offers 1.5% on purchases for gas, groceries, drugstores, as well as on pre-authorized purchases. On all other spending, the cash back rate is 0.5%. While there are richer cash back cards out there, considering this is a no fee card, Simplii Financial has come to the table with a strong offering. 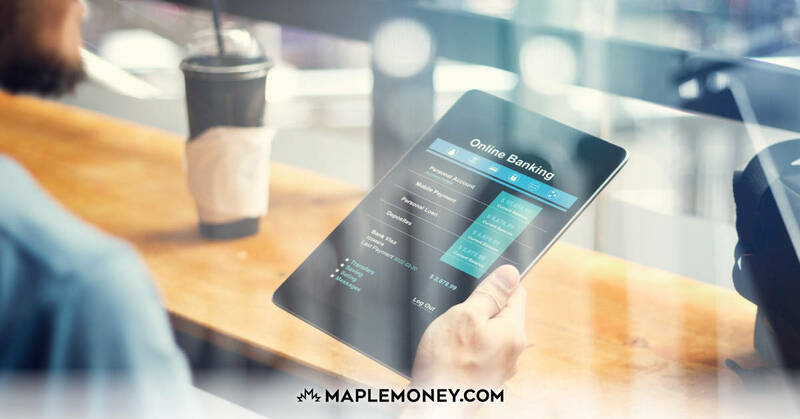 With the move from away from PC Financial, and the enhancements made by owner CIBC, you may be wondering how Simplii Financial stacks up against its competition, more specifically, Canada’s online banking powerhouse, Tangerine. Well, in my opinion, Simplii has come a long way, but they still have some ground to make up. I do hold a chequing account as well as a credit line with Simplii, and I value their no-fee banking options. However, in my opinion, Tangerine still offers the broadest range of products and services, and provides clients with the greatest flexibility in dealing with an online bank. Like Simplii Financial, Tangerine has a current offer of up to $200 cash when you open a chequing account and move your banking over. For a full review of Tangerine, check out my recently updated review here. Simplii Financial is an online bank that can provide you with everything that you need to keep your finances on track. As long as you have internet access, you can see how your accounts are doing anytime, from anywhere. They make banking convenient and provide access to a variety of first-rate financial products. I have enjoyed using their no-fee bank account, and I am considering trying other products offered by Simplii. I’d love to know: Have you used Simplii Financial? If so, tell me about your experience. Tangerine is owned by Scotiabank. Tangerine customers have free access to Scotiabank ABMs in Canada and the Global Alliance Internationally. With both Simplii and Tangerine, it is more difficult to deal with when making arrangements for the transfer of funds to another estate account than with a brick and mortar bank where you can make arrangements with a face to face person. Had I known this, I would have closed the accounts prior to my mother’s passing. With all banks, it is wise to have checked with their probate requirements to access the funds when shutting down accounts for a person who has passed. Good article. I’m with Simplii also and am generally satisfied with their service. Note that you did not mention one of their best features: free, unlimited Interac e-transfers. I was with PC Financial for probably close to 20 years (since it started) and was always happy with the customer service and of course, no fees.  I continue to be happy with Simplii since it changed hands last year. My only concern is if I need a new bank card, I have to wait for one to be mailed out. I’m not sure if there is a faster option but originally, my understanding was that a replacement card would be sent out in the regular mail which seems inconvenient if you rely on your bank card for daily usage. Having said that, my experience overall has been positive. I have been with PC Financial, now Simplii Financial since its inception some 20 years ago. For the most part I have been very happy to never pay any fees. However, since the separation CIBC removed all of their ATM machines from Superstore and they also removed their ATM machines from Petro Canada. Normally, this would not be a huge issue if you lived in a big city like I used to. However, I moved to Vernon BC three years ago and there are only two CIBC banks in the city. One bank is located downtown with no parking and trying to find street parking is almost impossible and you have to pay for parking. The second CIBC branch is located deep into the mall and it is quite a walk. There are no other CIBC ATMs in Vernon where we can deposit cash or withdraw without paying to use another bank’s ATM. I have written to them on numerous occasions and it appears that we are banking on “their terms” and not “our terms” as they so comfortably advertise. For that reason I will eventually leave this bank and find a bank that appreciates my business. My daughter uses Simplii and until late last year she liked the service until her card was compromised. She found that the customer service was not very helpful in dealing with the problem and she had to do a lot of the work to clear her credit rating. Terrific review of Simplii Tom Drake!! Have been a user of PC Financial/Simplii for over 15 years with a chequing and savings account. I too love the no-fee feature of the account (the main reason for originally opening the account with PC Financial). Have seen improvements in the online banking functionality since the Loblaws partnership dissolved in the following areas; charts and graphs and a more updated user-friendly dashboard. I have experience using a telephone customer service agent on a couple occasions and have found the service professionals to be excellent and service times reasonable. To date have not used other Simplii products, but would not hesitate to in the future. I read your Feb post, then tried to get the Chequing but I think the cash-bonus has expired. Simplii has a great cash-bonus offer for up to $200 going on until January 31st, 2019. I’m sorry but requiring a full credit bureau check to open a chequing account…. Thats right a chequing account is not client friendly. I can understand if you are looking to apply for credit but an everyday chequing and savings account is no no. They tried to justify it by saying it will be for your limits allowed… To use my own money?